Applications are now open for the British Engines apprenticeship scheme. Apprentices will be recruited to join our unique Apprenticeship+ Scheme in September 2019. The award-winning scheme has been designed in-house to teach apprentices additional skills and knowledge to those that would be gained through studying a traditional college apprenticeship. Accredited by the Institute of Mechanical Engineers (IMechE), our Apprenticeship+ Scheme has been recognised as providing new opportunities, and valuable support and feedback, which are key to encouraging and supporting the professional development of our trainee engineers. Apprentices will initially spend around 20 weeks at the TDR Training School in Newcastle, based next to our head office at Quorum Business Park; before being placed in one of our eight North East businesses. 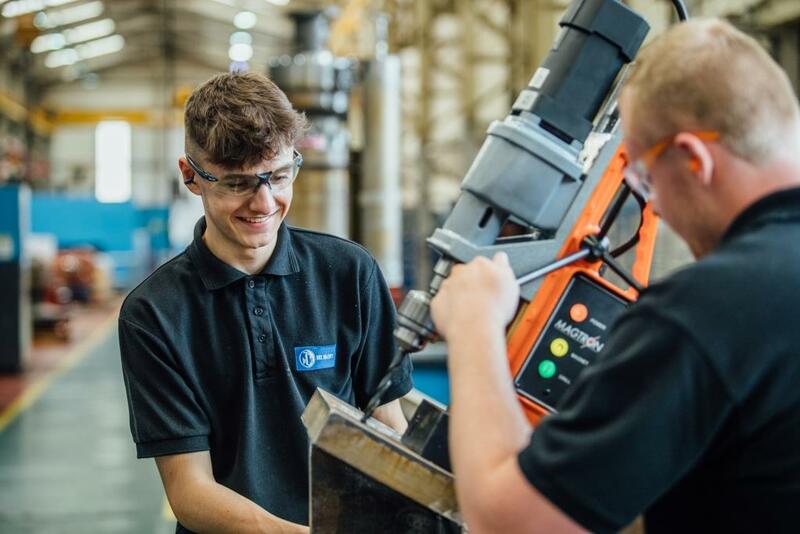 Our apprentices will then, over the next four years, spend four days per week working on the factory floor alongside our professional engineers and one day at college. All of our apprentices who pass the course are offered employment in one of our businesses, as well as opportunities to further development such as degree courses. Many of our apprentices have gone on to become senior managers within our businesses. Are you interested in becoming one of the next British Engines apprentices? Need some more information before making the decision? Find out more about the recruitment process here or why not read about some of our apprentices’ experiences? Applications must be submitted through TDR Training, so make sure to mention that you are interested in becoming a British Engines apprentice somewhere on the application form. Please click here to apply.